osis vs iasis – splitting hairs (but not infinitives)? Someone recently asked me what I thought of various aspects of liver fluke (Fasciola hepatica), including impact on production. This, basically, is the overview I gave them. Pathogenicity: it’s up with that other important haematophagous worm, Haemonchus spp. The difference is that Fasciola‘s distribution, limited by its intermediate host snail, is patchy, whereas Haemonchus is more uniformly distributed in sheep raising areas. Liver fluke is only present in some areas and, on affected properties, only occurs in some paddocks. Being pathogenic, it has a significant economic impact on grazing livestock. Analyses of its economic impact have been done, for example, by Boray (NSW DPI PrimeFact on liver fluke), MLA-funded studies (Sackett et al 2006 and later (‘Priority list of endemic diseases…’)), and Lane (2015, cited by Woodgate et al 2016). Lane (2015) estimated the cost to the Australian sheep industry to be $25 million p.a. According to Hutchinson (2003), liver fluke has been estimated to result in 5% average loss of production and some $20 million annual costs of chemical treatments. Effects: liver damage (parenchyma (the meaty part) and bile ducts), blood and protein loss, inappetance, and increased risk of black disease (Clostridium novyi), and sometimes deaths. Fluke-associated liver damage at abattoirs can result in condemned livers: another cost. The following table is indicative of what losses may occur with different fluke burdens. Table. Effects of Fasciola hepatica on weight gains in sheep. Adapted from Hawkins and Morris, 1978. Most common form of fasciolosis (in livestock grazed in SE Australia): chronic (with ill-thrift, anaemia, bottle-jaw, and perhaps jaundice). It occurs as a result of ingesting moderate numbers (200–500) of metacercariae over longer periods of time (Merck). Less common: peracute and subacute (from large numbers of migrating immature fluke), in which deaths happen more commonly. Sheep do not appear to develop resistance to infection, and chronic liver damage is cumulative over several years. In cattle, a partial acquired resistance develops beginning 5–6 mo after infection (Merck). Worm egg counts are not highly sensitive tests, i.e. there can be ‘a few’ false negatives, and the Fasciola egg count is no exception and may be worse than many. The sensitivity of the fluke egg count is often in the range of 30-70% (Woodgate et al, 2016), sometimes worse, sometimes better. The fluke antibody ELISA offered by NSW DPI is more sensitive and specific (~ 95-99% according to Hutchinson, 2003, cited by Woodgate et al, 2016), but there is a lag period from the time of infection until antibodies rise, then another lag period from when an infection is cleared (by an efficient flukicide) until the antibodies fall. These lag periods can be a few to several weeks or more. There are no perfect diagnostic tests. More recently a European ELISA-based kit (CAELISA (copro-antigen ELISA), Bio-X, Belgium) which measures fluke antigen (as opposed to antibody) in faeces has been validated by Charles Sturt University at Wagga Wagga. Palmer et al. (2014) calculated sensitivity to be between 75 and 91 per cent and specificity between 70 and 100 per cent. But this test is more expensive than SEDI. See Woodgate and others, 2016. Some operators (e.g. Palmer) improve sensitivity by customising the cut-off point in the test. I understand Bio-X has recently produced an improved version of the test. According to Brockwell (2013), the copro-antigen test (CT) reportedly shows ‘moderate to good’ correlations with parasite burdens in cattle (R2 ranging from 0.239 to .871) (Brockwell et al 2013) and 0.899 in lambs (Mezo et al, 2014). Roblez-Peres et al (2013) found PCR to be more sensitive than the BIOX CT in detecting drug resistant fluke (and others found PCR and CT to be more sensitive than faecal fluke egg count (FEC), however the CT in that case was used at the BIOX recommended cut-off rather than a custom cut-off. Brockwell and others (2014) recovered live adult flukes at slaughter following triclabendazole (TCBZ) treatment of 6 cattle from 3 of the beef properties they studied, confirming the TCBZ resistance status of F. hepatica in these cattle. This showed the test positives were not false positives. The correlation between FEC and fluke number was R2 = 0.1801 and for coproantigen R2 = 0.3542, but note the small sample size. Interpretation: What do fluke egg counts (SEDI) mean? Even though liver flukes (which, by the way, are hermaphrodites) are more fecund than Haemonchus – fluke producing about twice as many eggs as Haemonchus – the fluke egg counts typically seen in labs are low. The great majority in NSW at least are below 100 epg, with most being less than 50 epg, especially in the case of cattle. While fluke are more fecund, there are less of them. The highest fluke egg count I have seen was 300-400 epg (Merino ewes set-stocked in a creek paddock south of Walcha, NSW); and the highest I have heard of was ~ 1000 epg, and that was on irrigated pasture in the Riverina and with flukicide resistance. (The first report of triclabendazole-resistant fluke in the world came from a nearby region in northern Victoria (Overend and Bowen, 1995). However, one liver fluke egg can result in – after the cycle progresses (asexual reproduction and multiplication) within the intermediate host snails – up to 4000 metacercariae (the infective stage/cyst on herbage). A very heavy fluke burden – say 200+ worms in cattle and 600+ in sheep (according to old NSW DPI guidelines) – has about 10-20x fewer worms present than a very heavy Haemonchus burden in sheep. (I don’t really understand the differences in ‘very heavy fluke burdens’ for cattle (200+) vs sheep (600+) either…Here’s a thought: perhaps there is a greater cost –disease-and production-wise- per fluke to cattle because there is a stronger immune response???)). But, on the other hand, fluke are a bigger parasite, and also the immature stages, while small, can, in the early stages, do a lot of damage as the migrate through the parenchyma of the liver. Adult fluke can also live a long time (Adult flukes may live in the bile ducts of sheep for years; most are shed from cattle within 5–6 mo.(Merck)). (By the way, alpacas, with their relatively small livers, are reputed to be very susceptible to fasciolosis (disease from fluke infections)). I don’t know of any proven formulae to estimate production losses from fluke egg counts (but see what Brockwell and others found), although there have been attempts to create prediction equations based on numbers of liver fluke (as opposed to egg counts), e.g. Hawkins and Morris, 1978. The situation with cattle roundworm egg counts might be similar to that for liver fluke egg counts. A large count means something, but there can be production losses, and even clinical disease (e.g. type 2 ostertagiosis),when WECs are low or zero. With low or zero fluke egg counts it is possible to have production losses(not least in dairy cattle) and even clinical disease (including death) because the test is not highly sensitive and because, within the prepatent period of 10 weeks or so, immature fluke in large numbers can do a lot of damage. Broadly speaking, I think any positive fluke egg count in grazing livestock is significant, especially if there are positive counts in repeat testing of livestock. Unless there is good reason to suggest the positive counts are all in imported animals with fluke infections from elsewhere, a strategic program should be considered. This could be as little as a fluke drench in April/May (early winter), the single most important time to drench for fluke in most of southeast Australia. Heavily infected properties may need 2, 3 or even 4 drenches more year. See Boray, 2007. An integrated approach will also include grazing management, which basically boils down to minimizing infection of particularly vulnerable stock (sheep, and young cattle), especially if they are destined for slaughter within withholding periods of flukicides that might otherwise be necessary. Most flukicides have long withdrawal periods before slaughter if used in meat-producing animals and before milk from treated livestock can be used for human consumption (Merck). But this varies; check the label. See https://portal.apvma.gov.au/pubcris. Prevention of livestock access to snail-infested pasture while desirable may sometimes be a challenge because of the size of the areas involved and the consequent expense of erecting adequate fencing. However, benefits could include improved productivity and fewer liver condemnations at the abattoir. Although molluscicides can be used to reduce lymnaeid snail populations, those that are available all have disadvantages that restrict their use (Merck). The snails also reproduce rapidly and quickly re-colonise suitable habitats. Engineering solutions such as draining wet areas are another option if feasible. Good times to test for fluke are also the traditional (Australian) strategic fluke drenching times, early winter (April/May), early Spring (August) and summer. Having encountered positive fluke egg counts, an immediate fluke drench may or may not be warranted. For example, if it is March, can the drench be put off until April/May (when you might get more bang for your buck? ), especially if this coincides with other reasons to yard animals? Part of the decision-making process involves gauging the effect on animals. As with cattle roundworms, objective measurements of productivity, e.g. growth rate, will aid decision making, in addition to egg counts, and visual appraisal of animals. Remember also that flukicide resistance has been recorded. (“Anthelmintic resistance by F hepatica to various compounds, including albendazole, clorsulon, and triclabendazole, has been demonstrated” (Merck)). In Australia, I am aware of resistance being found to triclabendazole (TCBZ) and to closantel. The prevalence of flukicide resistance seems to be somewhat lower than for cattle and sheep roundworm resistance to broad-spectrum drenches, but that may be an impression based on scant information. Brockwell and others (2014) have done some investigations into flukicide resistance using the CAELISA. Of eight cattle farms (NSW and Vic) tested by Brockwell and others (2014), using the CAELISA (and faecal egg count reduction test), the CAELISA found that triclabendazole efficacy was below 90% on five of the farms. Note that these were mostly if not all farms where reduced efficacy of TCBZ was previously suspected. Consider testing after treatment to make sure the drench worked. If using a fluke egg count, test on the day of drenching and again 28 days later. (This time period is different from DrenchChecks for sheep and cattle roundworms, which are 10 and 14 days respectively after treatment). Liver fluke may take longer to die and their eggs can take longer to be cleared out of the biliary system and intestinal tract. Consider rotation of flukicides, using drenches from different families: eg a triclabendazole-based drench in April/May, followed by say a closantel-based drench at the next treatment. In cattle there is the added option of combination fluke drenches – Nitromec and Nitrofluke, which contain two-unrelated flukicides, clorsulon (a sulphonamide) and nitroxynil (a phenol), and also drenches containing clorsulon (often combined with a broad-spectrum drench). Brockwell YM et al 2013. Coproantigen vs FEC cattle Fasciola and following triclabendazole Vet Para 2013 (Shortened reference). Hawkins CD and Morris RS, 1978. Depression of productivity in sheep infected with Fasciola hepatica. Vet Parasitol., 1978. (Thanks GK). Hutchinson GW, 2003. Validation of French antibody ELISA for liver fluke. MLA project AHW.021 : June 2003 : final milestone report. Meat and Livestock Australia (MLA). For example: “MLA’s recently released report Priority list of endemic diseases for the red meat industries listed liver fluke as a disease with a $25 million/year impact on sheep, while also affecting goats (sixth most costly goat disease) and cattle”. http://www.mla.com.au/news-and-events/industry-news/what-you-need-to-know-about-liver-fluke/ Regarding the ‘priority list…”, the hyperlink above no longer works. Overend and Bowen,1995 AVJ Resistance of Fasciola hepatica to TCBZ. (Abbreviated reference). Radostits et al, 2007. Veterinary Medicine, 10th Ed., 2007. Edited by Radostits et al. ISBN 978-0-7020-2777-2. Woodgate R, Cassidy T and Love S, 2016. Laboratory detection of Fasciola hepatica in live sheep, Proceedings, District Veterinarian Conference 2016. 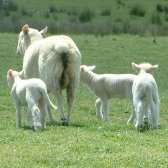 Accessed at http://www.flockandherd.net.au/sheep/reader/fasciola-detection-live-sheep.html July 2016. “Dr Evelyn Walker is currently a District Veterinarian at Central West Local Land Services in Dubbo. She received a BSc degree in Biology from the University of Texas at Dallas and a BVSc from the University of Sydney. Dr Walker completed a postgraduate course in production animal pathology and is also working on a PhD on chlamydial arthritis in lambs. She was instrumental in investigating drench resistance in her local area and promoting its findings to sheep producers. (Dr Neil Cooper: thanks for the heads up). Regarding the notes on Fasciola above, is the disease cause by ‘fluke fasciolosis or fascioliasis? In the olden days, you would have been corrected if you got it ‘wrong’. These days it seems osis and iasis or more or less interchangeable, as intimated below in the dictionary entry on ‘ostertagiasis’. Once upon a time people also worried about split infinitives, but now one might be more preoccupied with split ends, or even Split Enz in the case of old rockers. As to split infinitives, I usually forget what they are, or, to put it another way, recognising the evolution of English (‘Manglish’? ), ‘I have no visibility on that’. ‘A disease of ruminants caused by invasion of the abomasum by Ostertagia spp. Two forms occur. Type I is in lambs or calves in their first summer at pasture and is characterized by the presence of large numbers of adult worms in the abomasum, profuse watery diarrhea, depressed appetite and a high morbidity rate. Type II occurs in cattle in the late winter after that first summer and sometimes in adults. It is characterized by emergence of large numbers of inhibited larvae from the abomasal mucosa, by chronic diarrhea, emaciation, a high death rate and a greatly thickened and edematous (sic) abomasal mucosa, subcutaneous edema and high plasma pepsinogen levels. The timing of the two forms varies between countries’. Neenish tart – scandalous history – and – Your next smartphone? I was reminded recently (thanks LPK) of MLA-supported work by CSIRO scientists Malcolm Knox and Peter Hunt on anthelmintics for goats. Details: Evaluation of anthelmintic efficacy and dosing practices in goats. Project code: B.GOA.0088 Prepared by: Malcolm Knox and Peter Hunt CSIRO, Agricultural flagship Date published: July 2014 ISBN: 9781740362276 PUBLISHED BY Meat & Livestock Australia Limited Locked Bag 991 NORTH SYDNEY NSW 2059. Abstract: “The efficacy of 3 anthelmintics registered for use in goats, oxfendazole (OFZ), morantel citrate (MOR) and abamectin (ABA) were assessed individually and in combination against resistant strains of Haemonchus contortus and Trichostrongylus colubriformis over 3 experiments. For each experiment, goats were infected with 4000 L3 H. contortus and 8000 L3 T. colubriformis. Faecal worm egg counts (WEC) were carried out at Days 25, 28, 32, 35, 39 and 42 post infection. Treatments were applied after allocation to groups after WEC at Day 28 and slaughter of all goats occurred on Days 43-44. Treatments were: Experiment 1 – OFZ, MOR, ABA, OFZ+MOR, OFZ+ABA, MOR+ABA, OFZ+MOR+ABA delivered orally at the manufacturers recommended dose rate. The combinations were delivered sequentially. Experiment 2 –OFZ+MOR, OFZ+MOR+ABA and Monepantel (MPL) at 1.0 or 1.5 times the recommended dose rate and some groups were fasted for 16 hours before treatment. Experiment 3 – OFZ+MOR+ABA, Triguard (TRI), Scanda (SCA) and MPL delivered orally or by intra-abomasal injection. The sequentially delivered combinations showed greater efficacy than the individual anthelmintics. Feed restriction and increasing the dose rate improved efficacy of the combinations. Greater efficacy was observed against T. colubriformis when the treatment was applied intra-abomasally. MPL was highly effective in all treatments”. Executive summary: “Producers have a number of registered veterinary chemicals at their disposal with which to manage internal parasites in goats, but they all stem from technology more than three decades old and are all blighted by varying degrees of drench resistance in the nematodes they aim to control. The efficacy of 3 anthelmintics registered for use in goats, oxfendazole (OFZ), morantel citrate (MOR) and abamectin (ABA) were assessed individually and in combination against resistant strains of Haemonchus contortus and Trichostrongylus colubriformis over 3 experiments. For each experiment, Boer cross goats were sourced from a local supplier, treated to remove helminth parasites and then infected with 4000 L3 H. contortus Gold Coast 2004 and 8000 L3 T. colubriformis Gold Coast 2004. Faecal worm egg counts (WEC) were carried out at Days 25, 28, 32, 35, 39 and 42 post infection. Anthelmintic treatments were applied after allocation to groups after WEC at Day 28 and slaughter of all goats for worm burden estimation occurred on Days 43-44. Anthelmintic treatments were: Experiment 1 – OFZ, MOR, ABA, OFZ+MOR, OFZ+ABA, MOR+ABA, OFZ+MOR+ABA delivered orally at the manufacturer’s recommended dose rate. The combinations were delivered sequentially. Experiment 2 – OFZ+MOR, OFZ+MOR+ABA (delivered sequentially) and Monepantel (MPL) delivered orally at 1.0 or 1.5 times the manufacturer’s recommended dose rate and some groups were fasted for 16 hours before treatment. Experiment 3 – OFZ+MOR+ABA (delivered sequentially), commercial equivalents to the combinations used i.e. Triguard (TRI) and Scanda (SCA) and MPL delivered orally or by intra-abomasal injection. Prior to infection with parasites, goats in this experiment were given 12 mL of 30% glucose solution by conventional oral dosing, head-up dosing, front-of-mouth dosing, intraruminal injection or intra-abomasal injection to determine the likely effects of dosing technique on oesophageal groove closure and ruminal bypass of the dose. The sequentially delivered combinations in Experiment 1 showed greater efficacy than the individual anthelmintics especially against T. colubriformis where the individual anthelmintics removed less than 50% of the worms. MOR alone or in combination was very effective against the H. contortus strain used in both Experiments 1 and 2. Feed restriction and increasing the dose rate by 1.5 times led to further reductions in worm numbers by the combinations against T. colubriformis in Experiment 2. Greater efficacy was observed against T. colubriformis when treatment with OFZ+MOR+ABA, TRI or SCA was applied intra-abomasally when compared to oral dosing. MPL was highly effective in all treatments given in Experiments 2 and 3. Unconventional dosing technique (head-up or front-of-mouth) led to a greater proportion of the glucose dose being rapidly absorbed suggesting ruminal bypass and delivery direct to the abomasum when compared to conventional oral dosing. Evaluation of anthelmintic efficacy and dosing practices in goats. This study has shown that the anthelmintics registered for use in goats when used alone are likely to have limited efficacy against contemporary strains of gastrointestinal nematodes with the exception being MOR against susceptible populations of H. contortus. A more accessible and less expensive MOR product would be highly desirable in these situations compared to the version used in these trials which is the only product currently on the market. Sequential application of OFZ+MOR+ABA and OFZ+MOR gave greater efficacy against T. colubriformis than either anthelmintic alone and this was further improved by 16 hours fasting before treatment or delivery of 1.5 times the manufacturer’s recommended dosage. It is suggested that feed restriction before treatment be promoted for goats to enable the standard recommended dose to be applied with greatest effect for products where no toxicity issues are likely. For any goats under physiological stress and where feed restriction may be detrimental to their health, the higher dose rate could be applied with consideration of likely impacts on WHP and ESI for those animals. When dosing goats, operators should be careful to place the dose over the back of the tongue to ensure delivery of the full dose to the rumen or abomasum. There have been concerns that oesophageal groove closure and ruminal bypass may reduce the efficacy of benzimidazole anthelmintics and the results affirm this to some extent. However, the outcome of the present study indicates this may not be the case for combination products as delivery direct to the abomasum resulted in an increase in efficacy against the resistant strain of T. colubriformis used”. Resistance of worms to monepantel, believed still to be rare, has been found since (also before) this report was published. See: https://wormmailinthecloud.wordpress.com/2015/09/22/multi-drug-including-monepantel-zolvix-resistant-haemonchus-confirmed-in-sheep-on-a-farm-in-greater-sydney-region/ (This reports the ‘Greater Sydney’ case but also mentions earlier cases). Also, you need to be aware of the characteristics of the (‘Gold Coast 2004’) isolates against which Knox and Hunt tested the drenches. These were Haemonchus and Trichostrongylus isolates described in a paper by Le Jambre and others. (Don’t expect that morantel (or levamisole-not registered for use in goats in NSW) will always do so well. As always, drench efficacy needs to be checked on each individual farm). Perhaps feed restriction (16 hours fast in this study) before drenching goats is an alternative for dosing goats at increased dose rates (1.5x in this study)? The data in this paper indicates there is no real difference in efficacy between the two options. Owners can get more information for themselves on this by regular use of DrenchChecks. (You will already be clued up on this if you are a ParaBoss News subscriber). WormBoss will hopefully be extended to include goats this Spring. To keep abreast with this and other happenings, subscribe to ParaBoss News. (Notes published here with the permission of Professor Choct). Myths regarding poultry production still persist, including the hoary old chestnut regarding hormones, which, if memory serves, were banned for use in poultry in Australia 50 or so years ago. Please respect the rights including copyright of others.